I didn’t really realize all the different shades of purple – more red or more blue – until I started sorting through my purple stash for fabrics for these blocks. 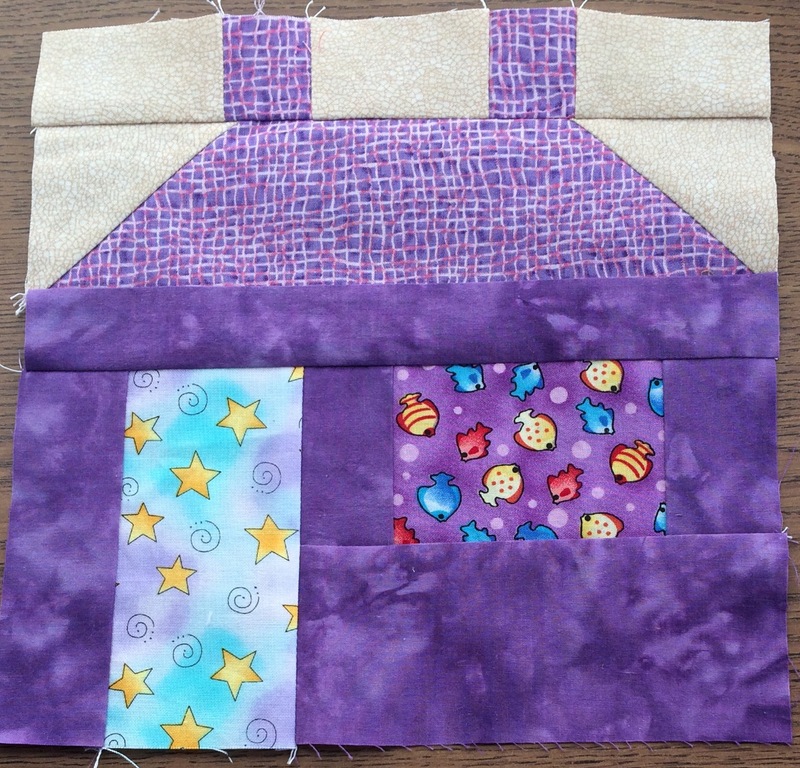 The color this month for the Rainbow Scrap Challenge is purple. Here’s my first purple house. The fabric for the door comes from the original crackpot quilt – Nicholas’ baby quilt made by his aunts and grandmas before he was born. I didn’t realize I had any of the fabric left, and it was a nice surprise when I found it among my purple stash. The Rainbow Scrap Challenge color for February is brown. I’ve been using my tans and light browns for another project, so I mostly have dark Browns to work with this month. Here are my first two houses. Check out what others are up to at soscrappy! 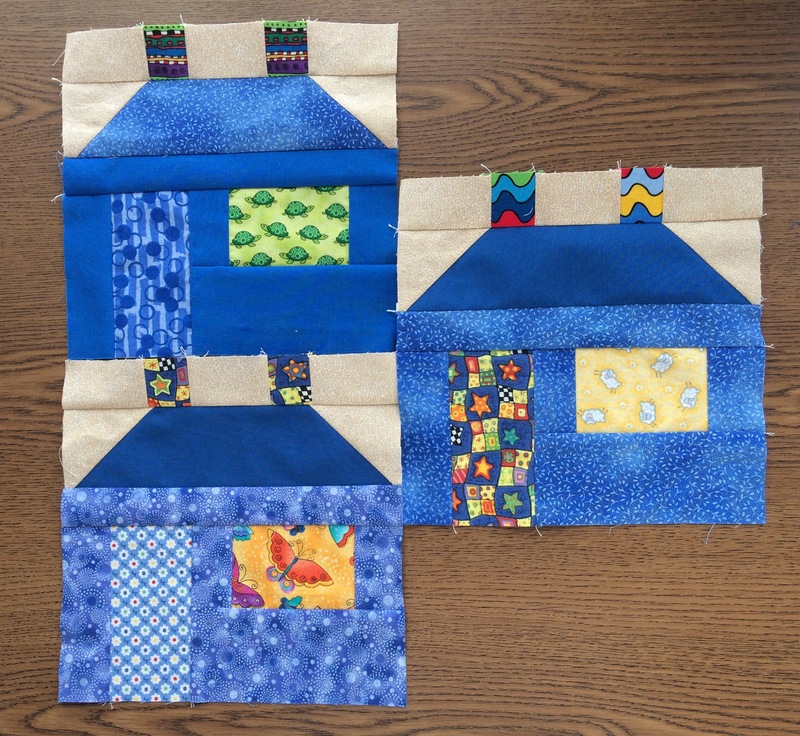 I finished my 4th scrappy blue house this week. They are a lot of fun to make! 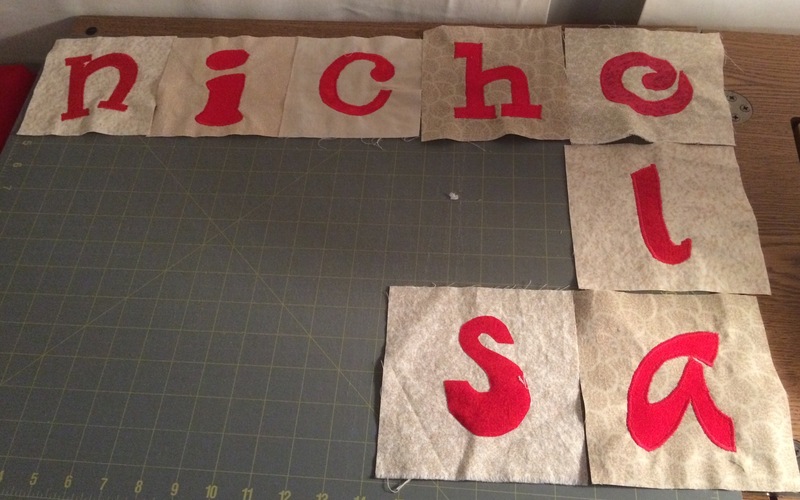 I don’t have any big quilting projects that I’m working on at the moment, so I’ve been having some fun with my scraps. The color this month for the Rainbow Scrap Challenge hosted by Soscrappy is blue. 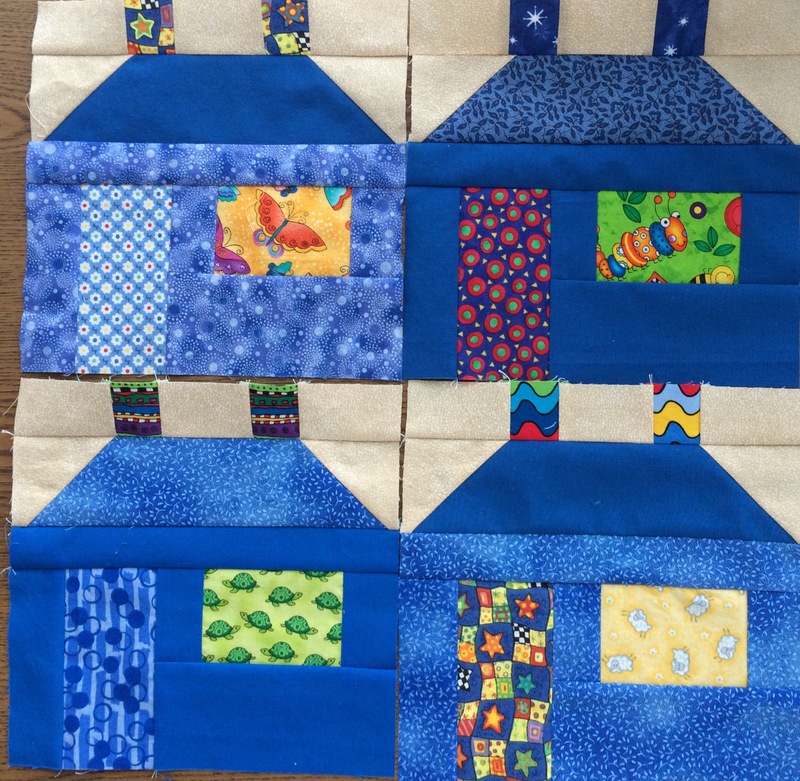 I found a pattern for a house block in the May/June ’02 issue of Quiltmaker. 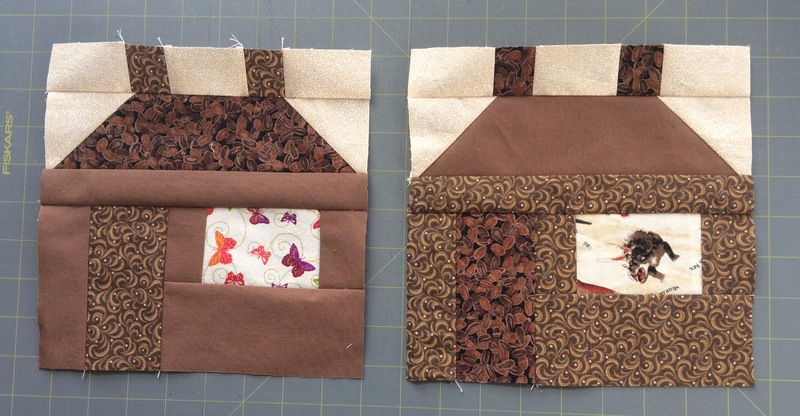 It’s been fun to pick the fabrics for the windows, doors, and chimneys. 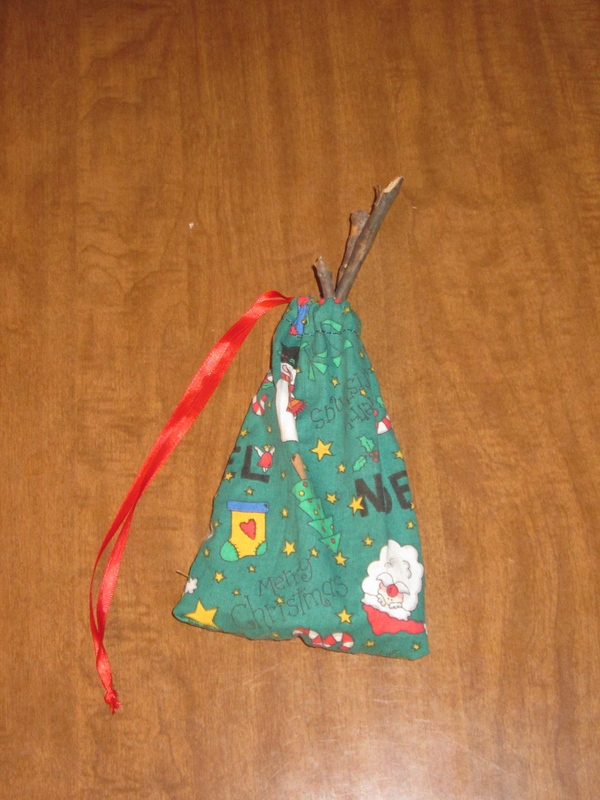 It looks like a cloth bag with sticks in it, right? I’ve been working on some crochet snowflakes (and a star) which will hopefully be used to decorate my classroom when we go back to school January 5. I tried stiffening my first two items with a solution of 1 part craft glue to 1 part water, and it worked well. But… one thing mentioned in the internet instructions on crochet stiffening was that you need to use rust-free pins to block the crochet. 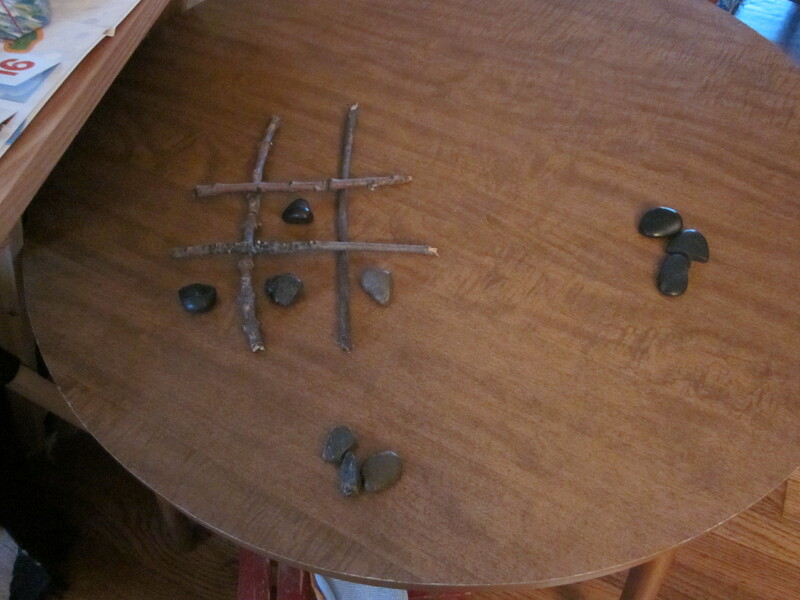 I had no idea whether or not my pins were rust free, so I just used them. When I removed the pins after the crochet had dried, an outer layer of the pin seemed to come off. 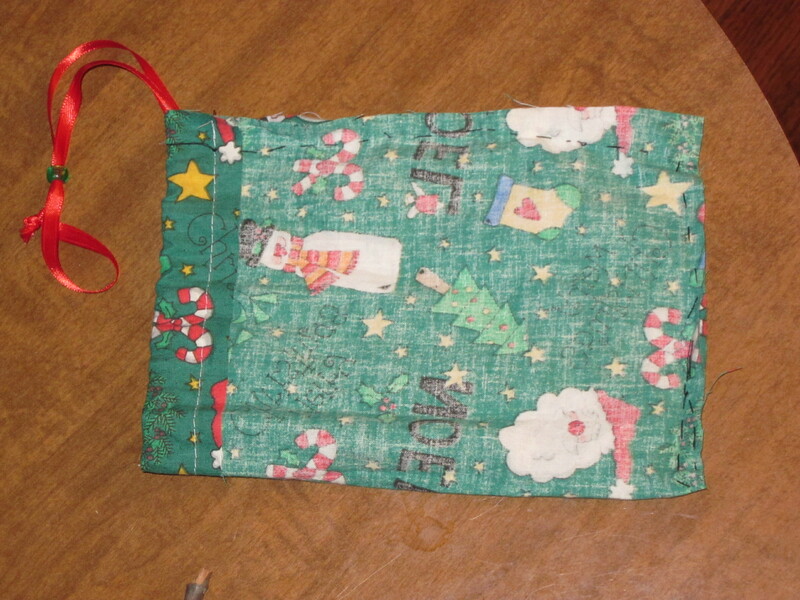 There was only a slight discoloration on the crochet, but still I took this to mean that my pins are not rust-proof. I’ve finished 4 more snowflakes now and wanted to stiffen them this afternoon. So, I went to Hobby Lobby in search of rust-free pins. Most of the pins in the store were labeled “nickel-plated steel,” but none of them said “rust-free.” Thank goodness for smart phones! I googled rust-proof pins and found out that many standard pins are nickel-plated steel, which is not rust-free, but quilting pins are often made of stainless steel, which is rust free. Thankfully, our Hobby Lobby sold one kind of stainless steel quilting pins. Here are the next four snowflakes, secured with stainless steel pins and drying. So far, I think my favorite is #4 – the pattern is in French but isn’t too hard to figure out if you have a list of the French words for basic crochet terms. I decided the other day that I want to make some crochet snowflakes to hang up in my classroom. Since I’m going to be hanging them up, I need to stiffen them. A little internet research revealed that there are quite a few methods for stiffening crochet. I decided to go with the equal parts craft glue and water solution. Here are my first two snowflakes (though the first is more of a star), blocked and drying on a foam tile. The free pattern for the snowflake on the right can be found here. The leaves are changing, and the fall soccer season finished up this weekend. Both boys had tournaments in different cities, so it was busy, but the weather was beautiful. 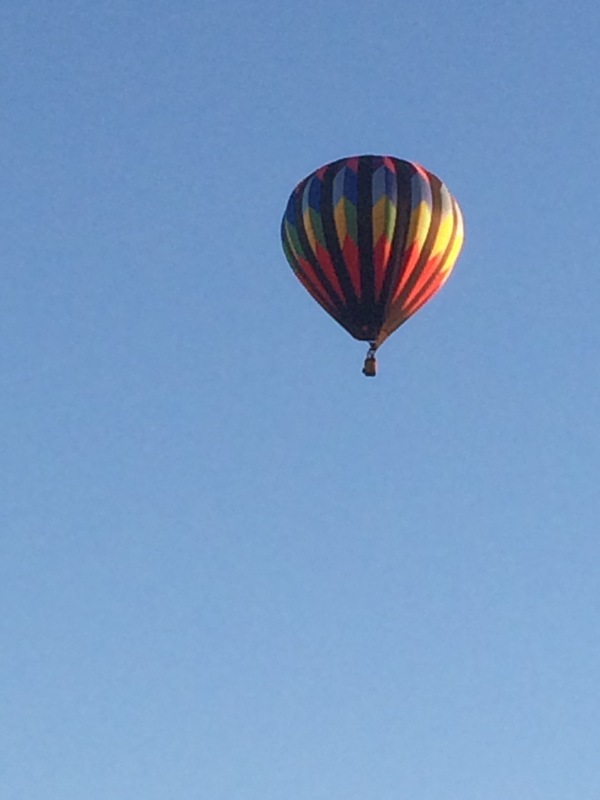 We were even treated to 5 hot air balloons flying over Nicholas’ game this morning. I just have the s left.